The Four Seasons is a highly coveted address located in Boston’s Back Bay, across from the Public Garden and Boston Common. The exclusive address is home to a five diamond hotel and 95 luxury condos ranging from 1 to 4 bedrooms and penthouse suites. Fully constructed and opened in 1985, the building has been completely renovated in 1993 by renowned, Boston based CBT Architects. CBT Architects designed the renovations to merge contemporary décor with traditional New England details. Since then, units have had minor renovations and updates. Public and private areas of the condos are divided with hardwood and carpet flooring. High ceilings and oversized windows bring in natural light and open up the space, while features, such as fireplaces and marble accents warm up the home and create an intimate feeling. Depending on where your home is located within the building, you have either stunning Garden or City views. With over 40 years of hospitality experience, the Four Seasons staff truly knows how to make you feel at home and ensures that you are living luxuriously. Along with a concierge, security, and room service, you have access to a fully equipped fitness center, spa, and pool that overlooks the Public Garden. After relaxing or exercising, you can grab a bite to eat in the in-house restaurant, Aujourd’hui, which was named Boston’s Top Table by Gourmet Magazine for its exceptional French cuisine. 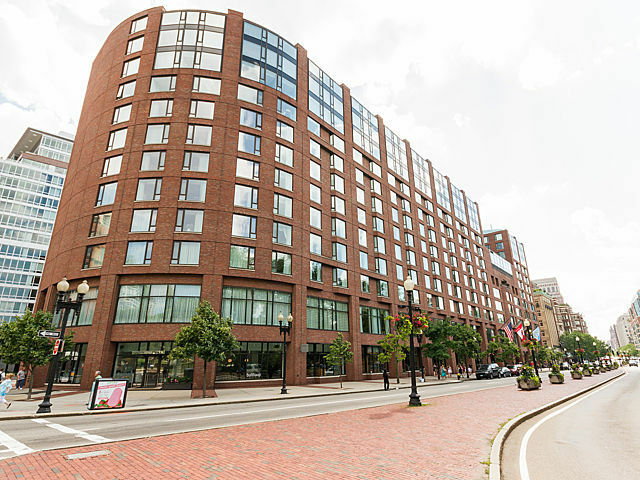 With the great location, you able to easily walk to other restaurants or entertainment options in Back Bay or Beacon Hill. If you would like to explore other neighborhoods in Boston, the Arlington T stop is right around the corner. You can also choose to have valet service or park your car conveniently in the garage.